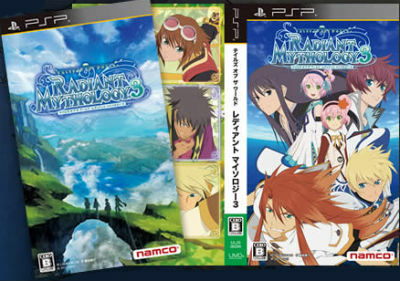 As mentioned in our recent post, BACK-ON‘s forthcoming new single TELL ME won’t be the only release by the band in the first quarter of 2011 – this is because they have just done the main theme songs for the new limited edition PSP game called Tales of the World: Radiant Mythology 3! The new single is called ‘with you feat.Me‘ and come in two editions (much like flyaway) – a normal/standard edition with just two tracks, and the other a special ‘Tales of’ edition that will feature a special remix of the title track, special in-game downloads and we presume a different CD jacket design as well. The two different editions will retail for ¥ 1050 and ¥ 1260 respectively, and if you click on the links above, you can watch the recent promotional video by Namco Bandai on Youtube and jump to clips of both songs; 流れ星 (Nagareboshi) stands for meteor or shooting star. I’m personally really digging TEEDA‘s rap part at around 1:37 in with you feat.Me. We still don’t know the identity of the mysterious Me, who (w/ thanks to Sok) is rumoured to be Misano. Hopefully we will be able to confirm whether this rumour is true very soon and also find out the cover designs of the single! EDIT on 20th January 2011: The new covers are out!